Green Motherhood: Can you hear the crunch? Can you hear the crunch? I've changed a few things around here in an attempt to get my body to feel better and just maybe, hopefully to look better too. 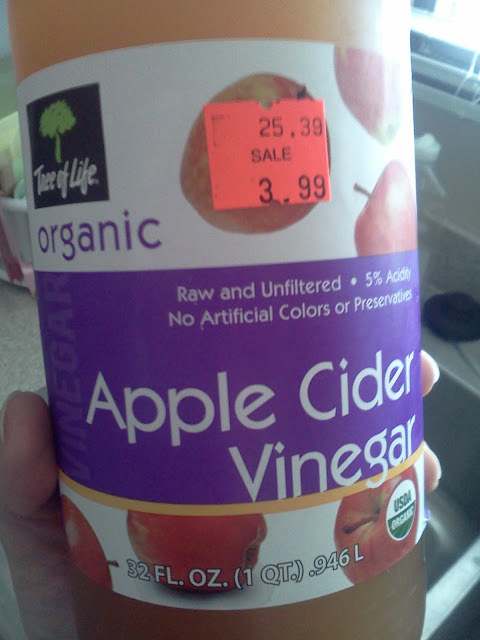 I've been reading such good stuff about apple cider vinegar lately! After reading some of the symptoms of an imbalance of ph in the body, I realized that I was experiencing some of these symptoms. And I figured for 3 bucks, I needed to give it a try, see how my body feels and evaluate. From what I'm reading, ACV can help with weight loss, acne, energy levels and allergies, among many other things. I know it sounds crazy to use an acidic product to combat acid in your body. Yeah, but maybe this is two negatives equal a positive? I'm gonna try it. Anyways, I remember my mom drinking it when I was growing up, and thinking she was totally crazy. Yes, this stuff is gross. Really really gross. I put 2 TBS in a cup with a splash of juice and honey. Mix it together and shoot it down fast. Then rinse your mouth out as you don't want the acidity on your teeth. 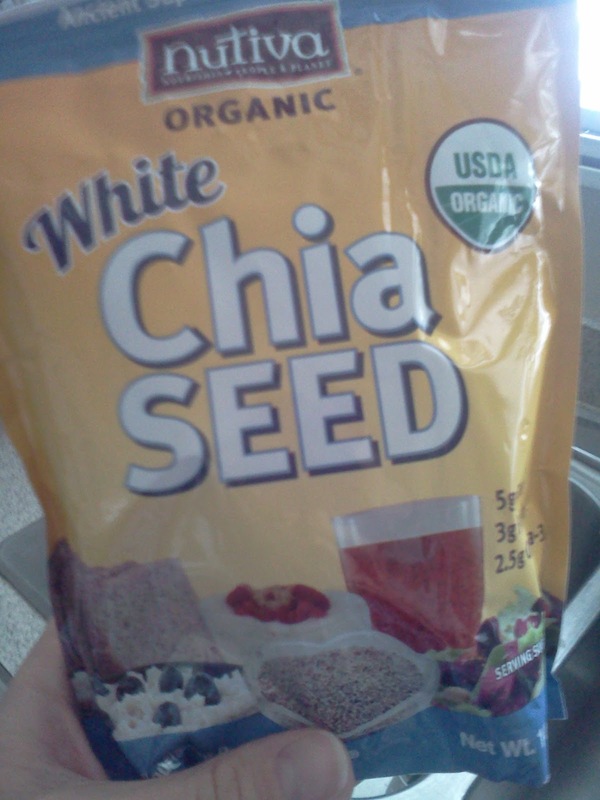 Chia seeds are said to help pull toxins out of the body due to their gelatenous nature. They don't taste like anything, but they aren't meant to be ground up. Put 1 TBS in a glass of water, add some juice and stir. Let them sit for atleast 15 minutes and then drink up! I gave up coffee as it was keeping me up at night (even just one small cup at 8am), so I had to find something else to get me through the day. Green tea is supposed to be a good antioxident and help flush out toxins too. Yes, please. And this stuff is gooooooood. Did you know that cooking most oils at a high heat can turn them into a carcinogenic substance. yikes. Cocunut oil won't do that to you. And it smells so good. Isla June loves it on toast or with her eggs. You can also use it on your hair or on diaper rash. Crazy good stuff. So, am I crazy? My husband seems to think so. Have you tried any new products lately?? Love all these! We eat quite a bit of quinoa and flax seed. Stuart in taking part in my year long experiment to eat local honey every day to see if his allergies get better. I might want him to try the ACV now too! So glad the honey has worked for Stuart. I started it when I was pregnant and had the worst allergies ever; I really think it helped! If he will do the ACV, more power to him. Jeremy thinks I'm torturing him every time. He;s slowly coming around. Hoping you and sweet baby are well! Thanks for coming by and commenting! Ha! Yes! He does the Apple Cider Vinegar sometimes if i make it for him. He hates it, but he's trying. I would say, if you're gonna try one new thing, do the coconut oil. It makes your house smell so sweet, and it is so mcuh better for you than any other cooking oil. I think you would love it!